Every teacher of reading plays a vital role in helping to catch those readers for whom learning to read does not come easily. If you have ever been at a loss for what to say and do when confronted with a child who struggles, this book is for you. Through examples from both adults and children, the authors explain and describe the complex integrated network of strategies that goes on in the minds of proficient readers—strategies that struggling readers have to learn in order to construct their own reading processes. 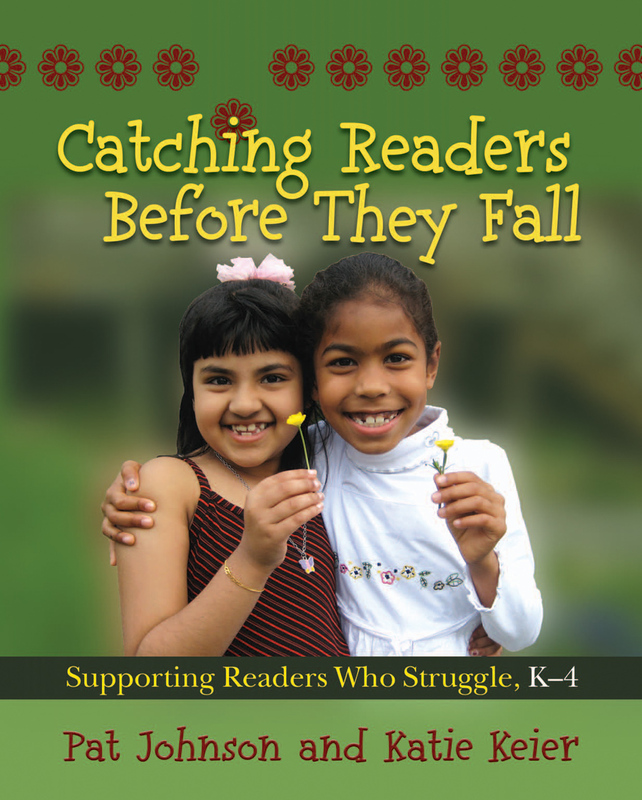 The examples and scenarios of teacher/student interactions in Catching Readers Before They Fall provide a sense of how it looks and what it sounds like to teach strategic actions to struggling readers. A thorough explanation of all the sources of information readers use to solve words, including examples of what beginning or struggling readers might do, and how teachers can respond. Ways in which teachers can prompt struggling readers to use skills and strategies effectively. Lessons that model how to use the sources of information and how to teach for strategies, such as checking and confirming, visualizing, questioning, inferring, and others. Ways to obtain ongoing assessment data consistent with strategy teaching and suggestions for organization and management. Practical answers to commonly asked questions from parents. 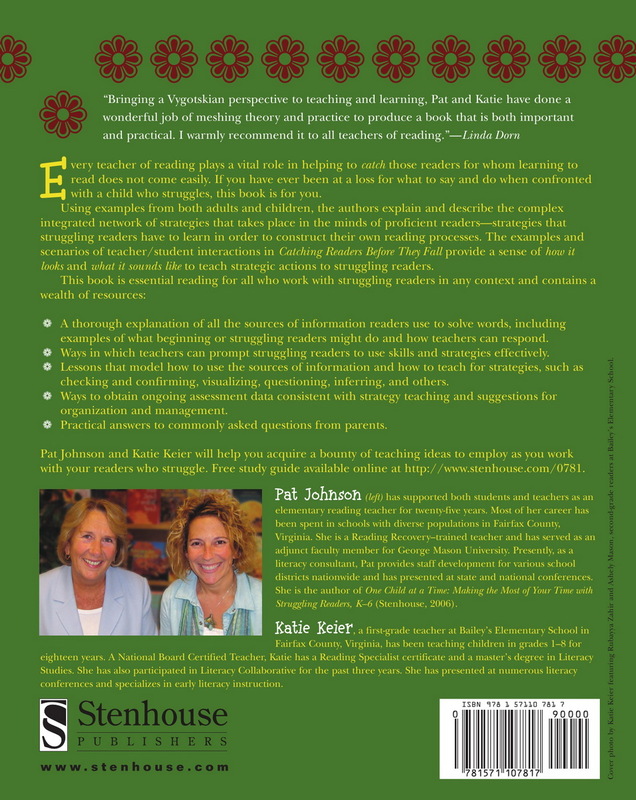 Pat Johnson and Katie Keier will help you acquire a bounty of teaching ideas to employ as you work with your readers who struggle. Pat Johnson has spent most of her thirty years in education as a reading specialist in elementary schools with diverse populations in Fairfax County, Virginia. Katie Keier has been a classroom teacher and literacy specialist in grades K-8 for twenty-four years. She is currently a kindergarten teacher in an urban Title I school. A National Board Certified Teacher in the area of literacy, Katie has a Reading Specialist certificate and a master’s degree in Literacy Studies. Browse Chapter 1 of the book online! Chapter 4: Beyond "Sound It Out"
Chapter 7: I Thought I Knew How to Teach Reading, but Whoa!